Rebeca is often seen running the show from behind the desk, answering phone calls, leading story time, hosting Facebook lives, and even sometimes working from the craft closet. But, we wanted to take the opportunity to introduce her to some of the new faces and followers to our Pink Pineapple family. Rebeca graduated with an education degree and quickly changed routes after recognizing a need and passion for custom cakes. She wears many hats, as most small business CEOs do, but rarely takes on tasks in the kitchen until very recently in our video series titled #bakerybootcamp. As the leader and face behind the Pink Pineapple #DreamTeam, she loves studying inspirational business men and women including Rachel Hollis, Carly Fiorina, and John Maxwell. Rebeca just turned thirty and took the opportunity to share some of her business wisdom and insight in a recent video added below. She also discussed her struggles with anxiety and depression, and how overcoming them has brought her to a place of self-respect and confidence. “You always see pictures of this mountain and you want to be at the top of this mountain. Nobody tells you what the mountain is made of. 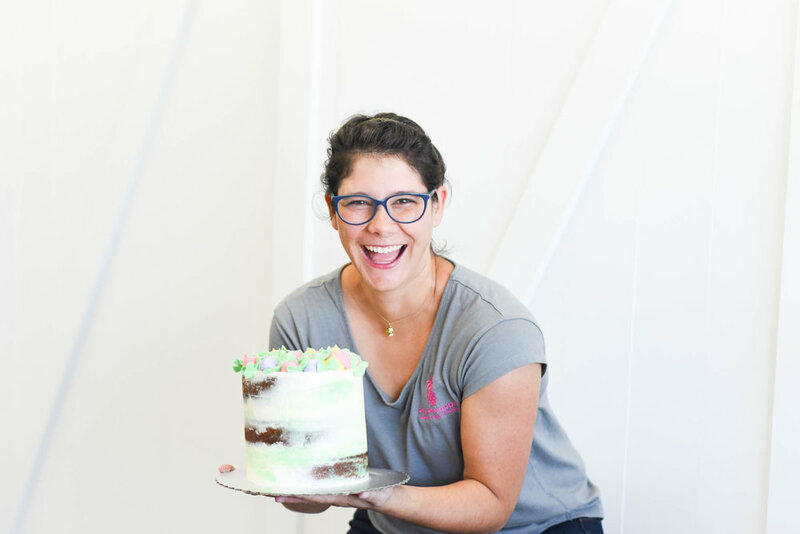 When she’s not in the kitchen taking on a new cake request, she’s at home with her family of four including her two little ones, Christopher and Anna, and her husband, Josh. Newer PostHost your Next Party at Pink Pineapple!